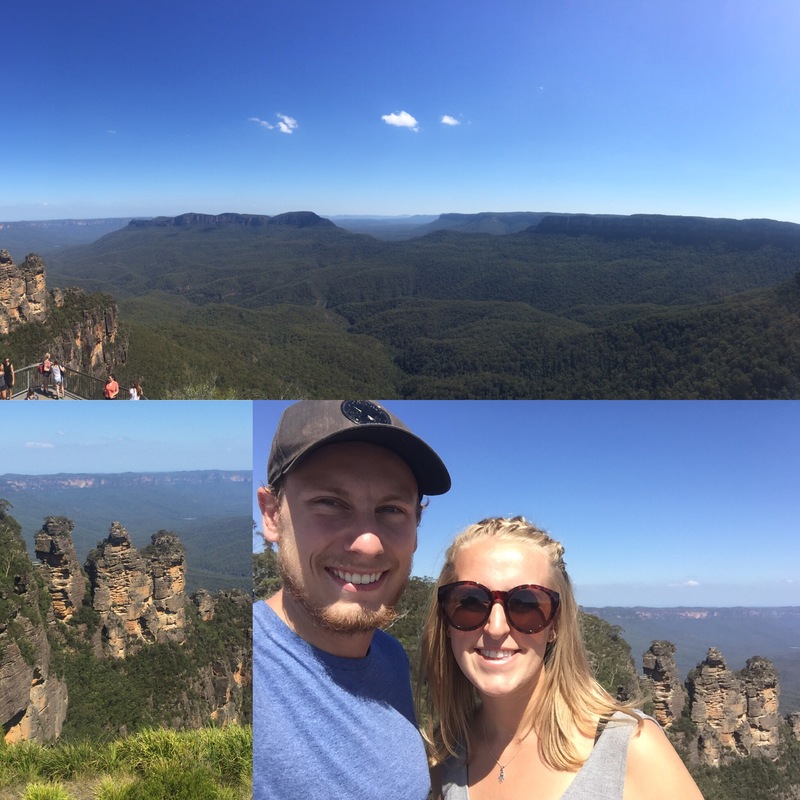 After our adventure in Tasmania we headed back to our hostel in Sydney for another week and to spend Australia Day with our friends. It was nice to come back to familiar face, a warm welcome and we were even put back into the same room we had been in previously! 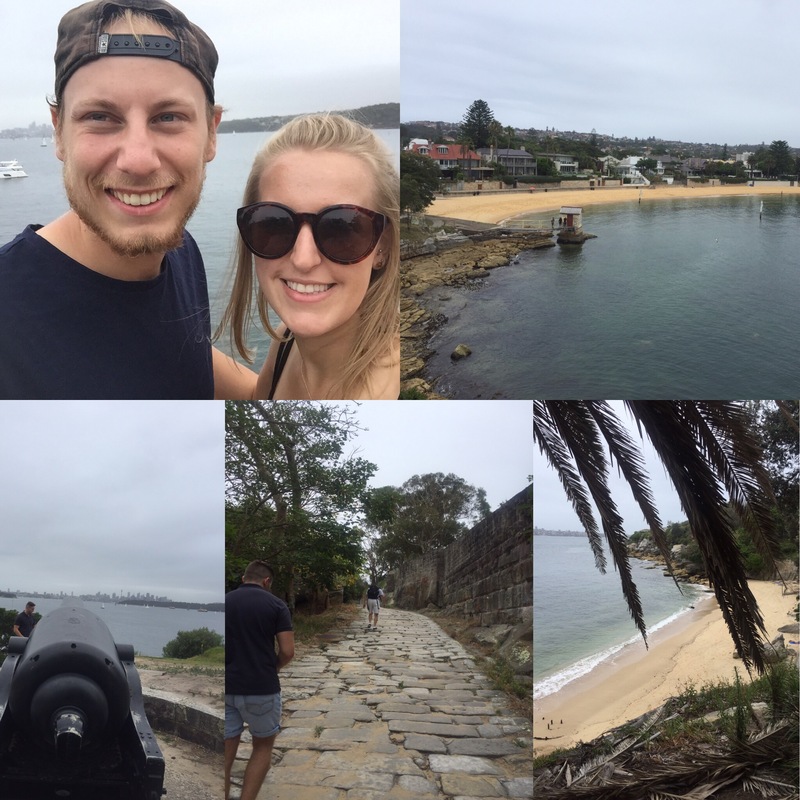 We got back very late on the 19th January 2017 and so ended up going straight to bed ready for a week of planning and seeing the last bits of Sydney before heading up the East Coast. There is a travel agency in the hostel called Mad Travel and they had a deal on for the Greyhound hop-on-hop-off bus (which everyone uses to travel the east coast) and 10 nights accommodation in any Base hostel (which are all around the country) for $600 – the bus ticket alone is $400 so this was a good deal as a lot of hostels are around $30 a night normally. We also booked on to a 5 day surf camp so were feeling happy about how our east coast plans were progressing by the end of the day. That night we went out to the club next door to the hostel called Scary Canaries. 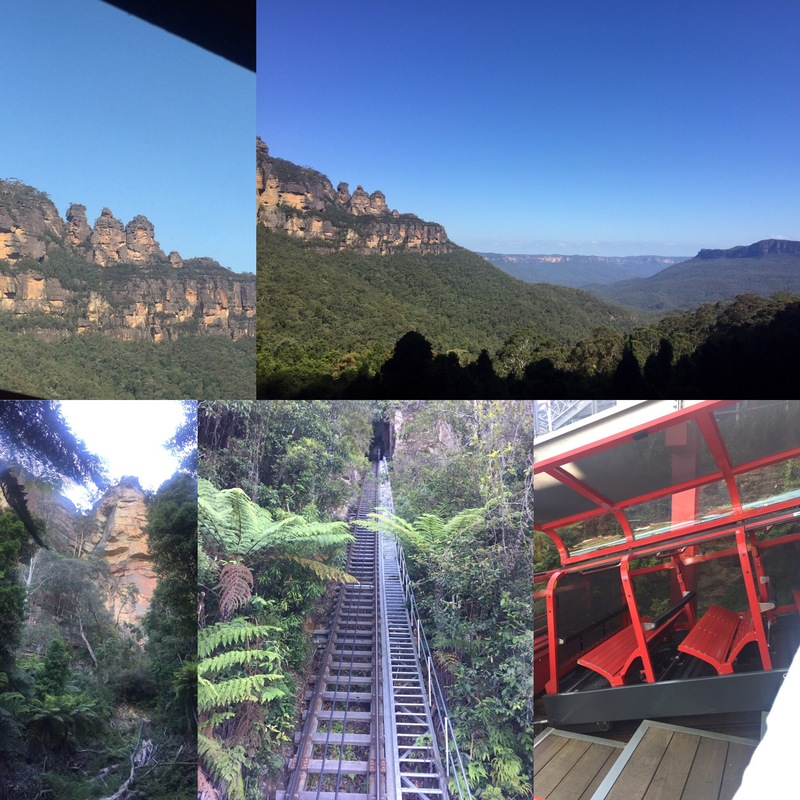 Feeling slightly fragile and having had very little sleep, we got up early to get the train into the Blue Mountains National Park for the day. Niall slept the entire journey there and, because we weren’t sure how long the journey took, I had to stay awake to make sure we didn’t miss our stop. 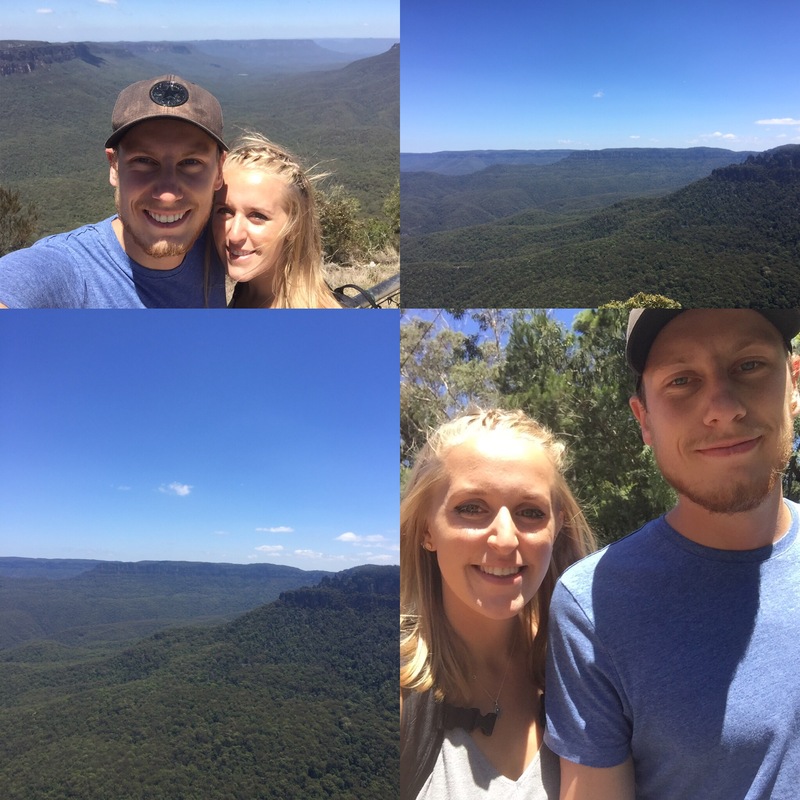 Our first stop was to Leura to go to Sublime Point which has lovely views over the vast forests of the Blue Mountains National Park (which is half the size of Switzerland) and also shows the Three Sisters rock formation from a far. The walk was around an hours walk to the view but it was a nice view and we also stopped for our lunch here which was nice too. 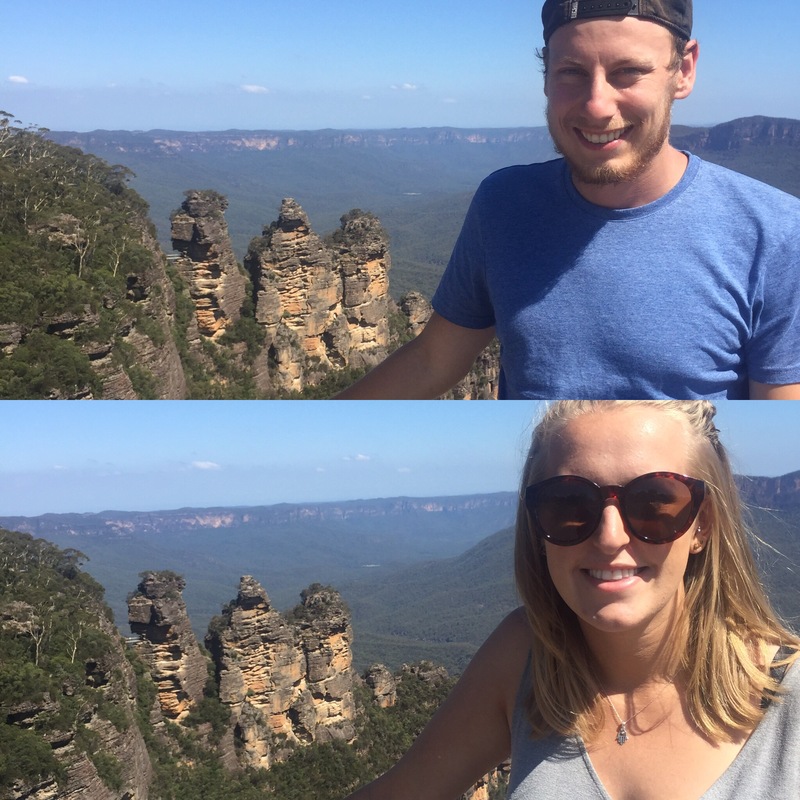 We then had to get back on the train to Katoomba where we were able to catch a bus that took us to Echo Point which is next to the Three Sisters. The story of the Three Sisters goes that three sisters were turned to stone by a witchdoctor to protect them from three men that were causing a tribal war to try and marry them. They were turned to stone because it was putting their lives in danger but the witch doctor was killed in the war before he could reverse the spell and turn them back into humans. It is said to be a reminder of the battle. The bus then took us into the Jameson Valley to Scenic World which has a cable car and the worlds steepest railway in it. On the railway you had to hold on so that you didn’t slide out of your seat! The railway was originally built for transporting coal in the area from the mines. The train took you into the valley and there were some short walks you could do down there. We then headed back up to ride the cable car. This gave us great views of the national park and, as it was a clear day, you could see for miles. 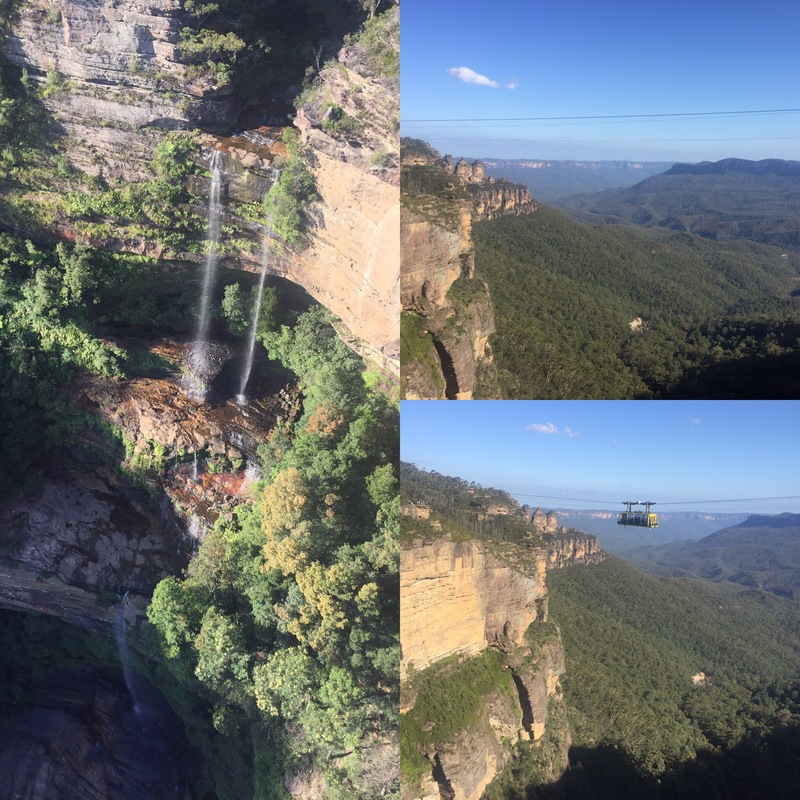 The cable car also showed us the Katoomba Falls which was 244m high! This also led to some different view points and walks to see the national park. 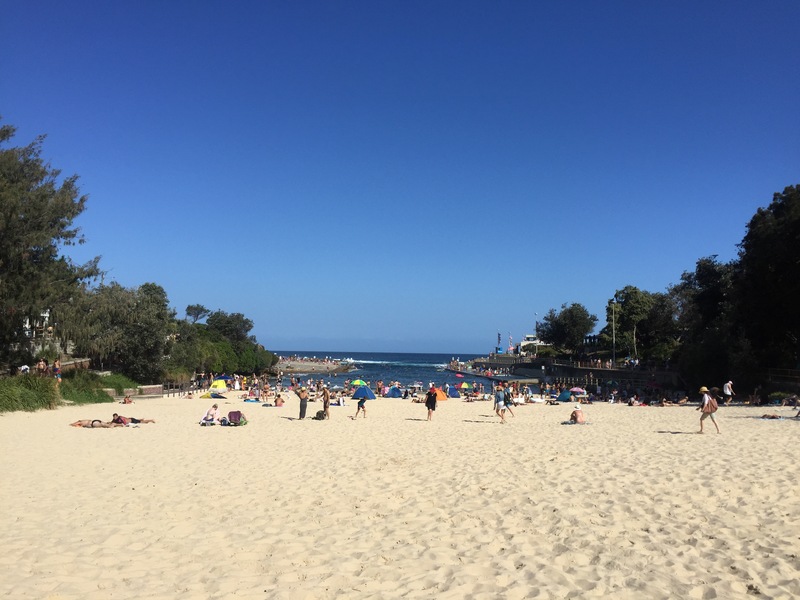 As if we hadn’t done enough walking the previous day, we all exploited the nice weather and it being the weekend (for those working) to do the Bondi to Coogee beach walk which is a very well known coastal walk in Sydney. 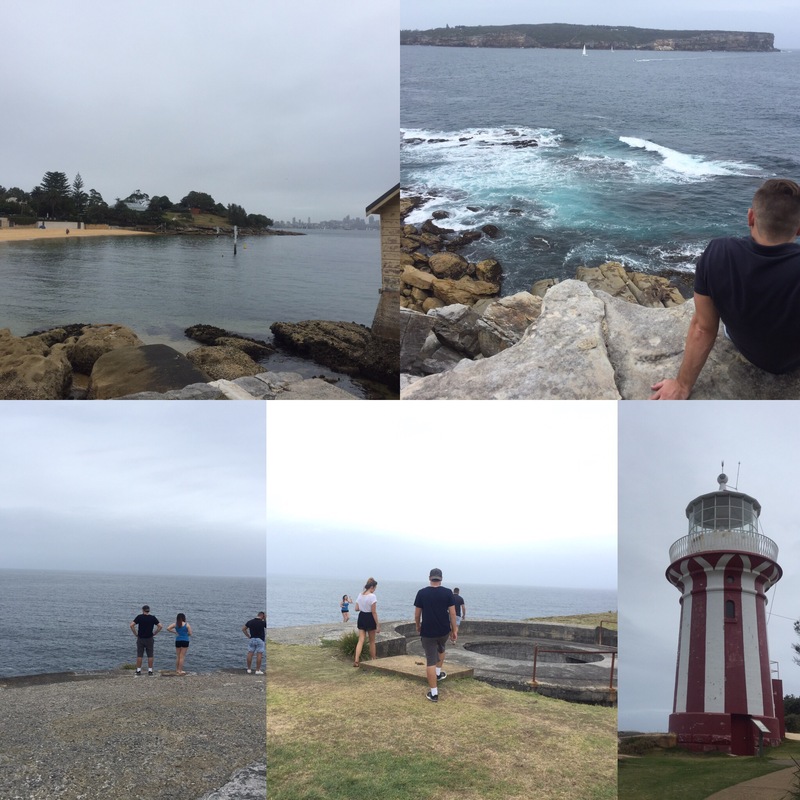 As the name suggests, we started in Bondi and followed the route along the coast towards Coogee. The weather was fantastic and we all tanned during the walk. 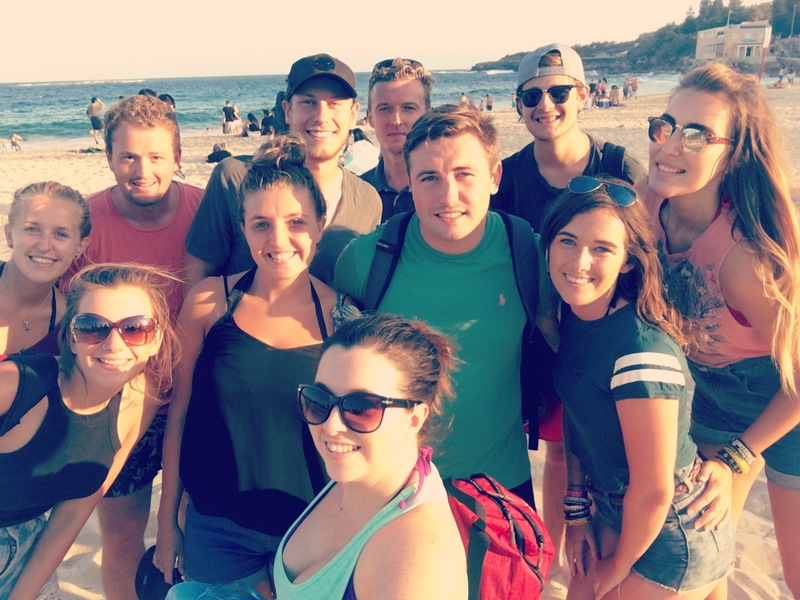 It was over an hour to get to Coogee beach but it didn’t feel like it as we were all chatting and having a laugh as we went along. The views on the walk are gorgeous of the ocean and the different beaches you pass along the way. 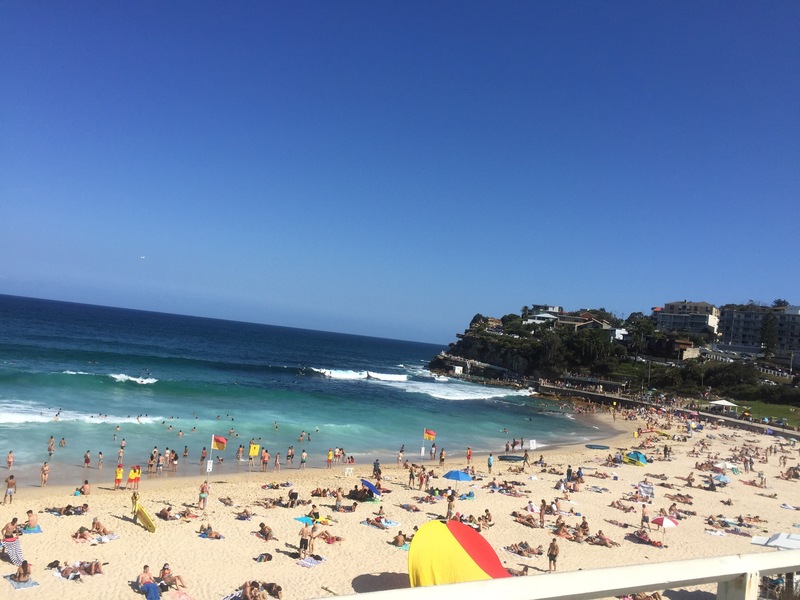 First, is the Icebergs swimming pool at Bondi Beach before following the cliff to Tamarama Beach which is a small, cosy beach framed by very expensive looking houses. The walk then takes you through the Waverley Cemetery. Normally this would go around the cemetery but the coastal path is closed due to damage caused by a storm months ago. There are some really grand tombs in the cemetery and it’s huge so it’s quite interesting to walk through it (just to be clear, it is a proper path through the cemetery). This path then led us passed the Clovelly Bowling Club which surprised us by the number of young people playing it and then onto Clovelly Beach. The beach was very different to the others we passed as this one had concrete sides making it look like an open ended swimming pool. The waves were looking particularly big through the bottleneck of the concrete sides. I don’t know if maybe this beach had been designed more for boats than for relaxation – that’s just a guess though! 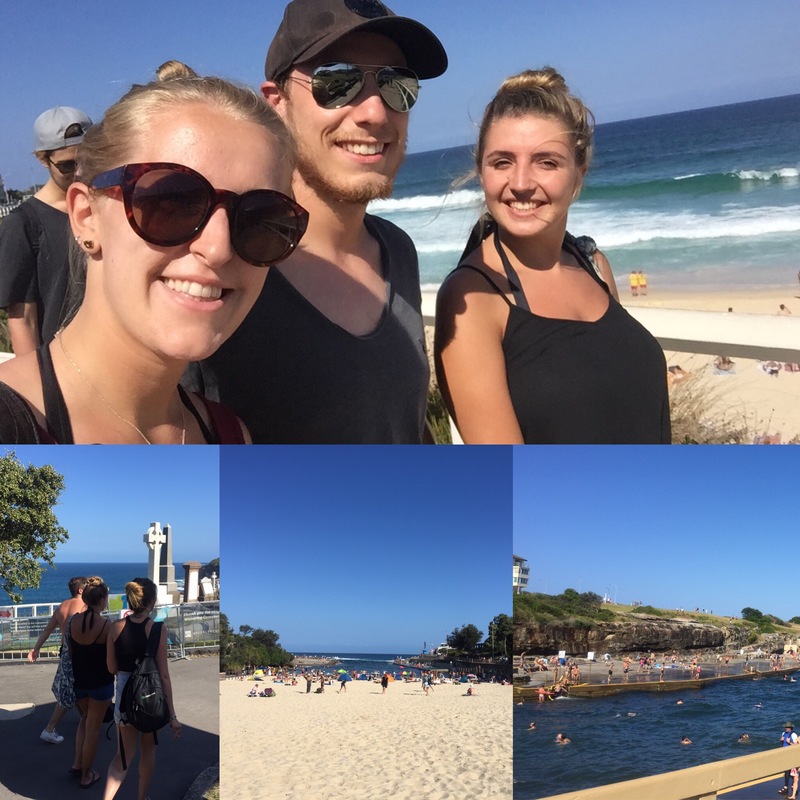 After walking over Dolphin Point we arrived at Coogee Beach. 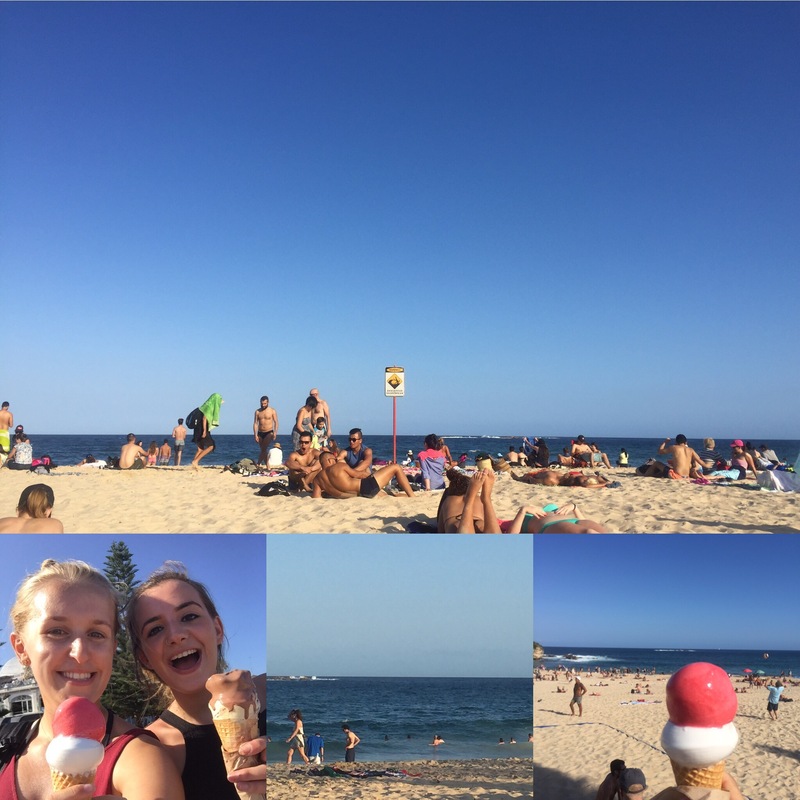 Me, Jade and Lucy all went to get an ice cream (you have to when you go to the beach!) and everyone else went to find a spot on the sand. Niall and everyone else had been in the sea by the time we came back from having ice cream so me and Jade went in together. The waves were a lot bigger than myself and Jade had experienced before and were very strong which led to us being “wiped out” on a number of occasions. It got the point that we were being tumbled around through the water and would be struggling to get back up for air so, after a particularly alarming “wipe out”, we called it a day and headed back to the others for a sunbathe and a rest. It was a lovely day doing the walk and on the beach all together and really nice to have been able to do the walk with such a great group of people! We didn’t have the best weather the next few days of being in Sydney so just relaxed and continuing planning our east coast trip. 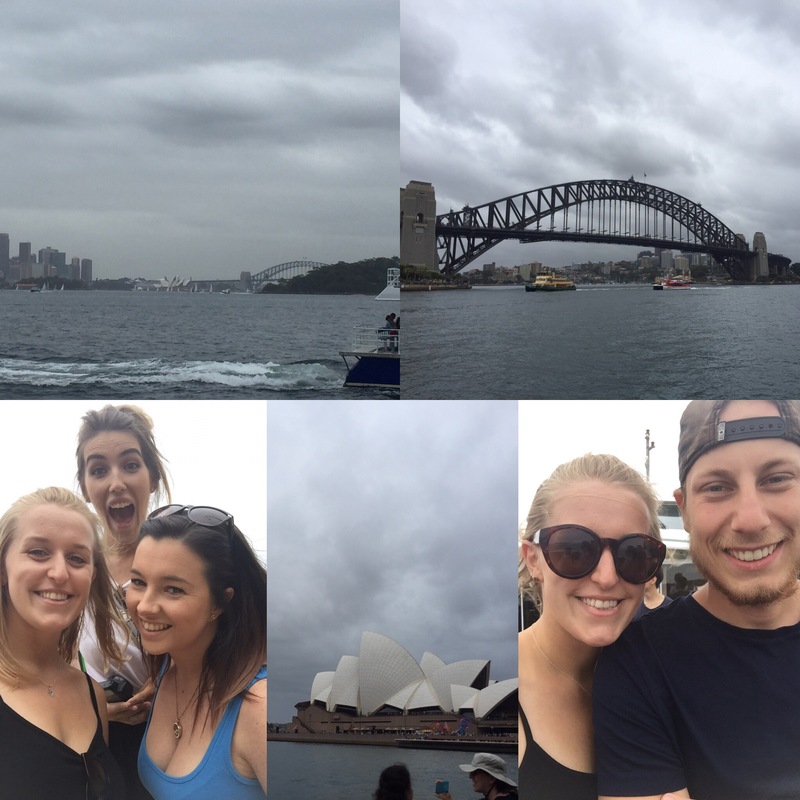 Once we had better weather, Niall, Melissa, Roisin, Stacey, Ben and myself got the ferry from Circular Quay to Watsons Bay. We got a fast ferry and we’re pretty wind swept by the time we got off the ferry. It stopped at a bunch of the bays around the coast which was good to see – a lot of them just having little beaches and a few houses at them and you can spend a day hopping through all the bays. Once off the boat we did a coastal walk to a lighthouse that was built after a ship crashed killing 122 people and having only 1 survivor. It was a nice walk and gave us great views of the city in the distance as well as some lovely little beaches. One of the beaches was also a nudist beach which was a bit of a surprise! The views from the lighthouse were great – quite peaceful really – overlooking the sea that just went for miles without anything in the horizon. It was great to have been able to do this walk with our friends. 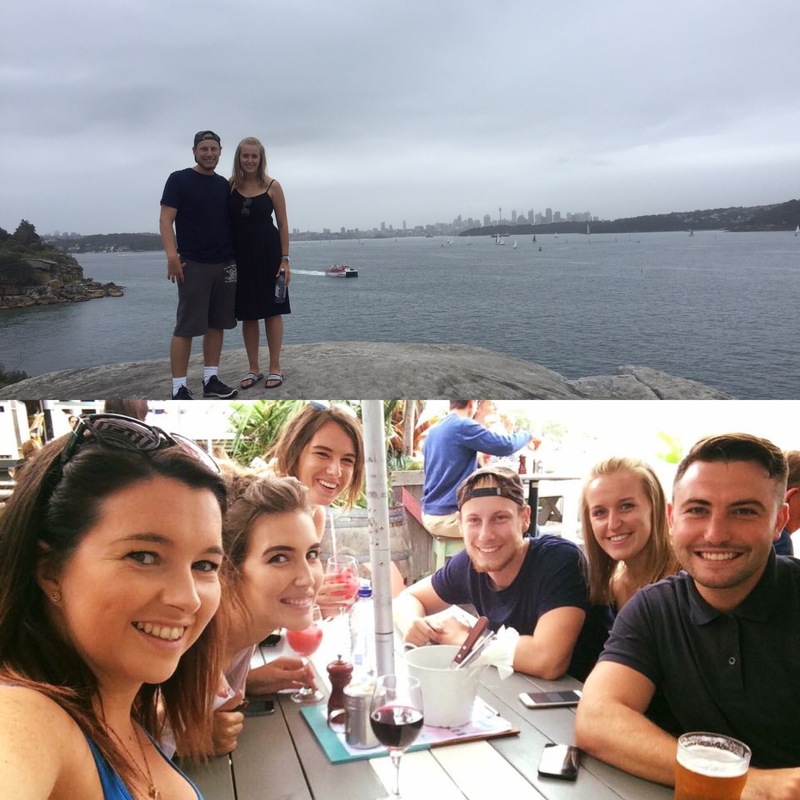 We ended the day having some drinks at the Watson Bay Hotel which actually led to us missing the last public ferry back and having to pay for a private one! I’m doing a separate post for Australia Day celebrations so that won’t be long after this post. Our week back from Tasmania couldn’t have been better. We saw the rest of Sydney that we hadn’t had a chance to see yet and have made some really good friends who we’ll hopefully see sometime soon again. 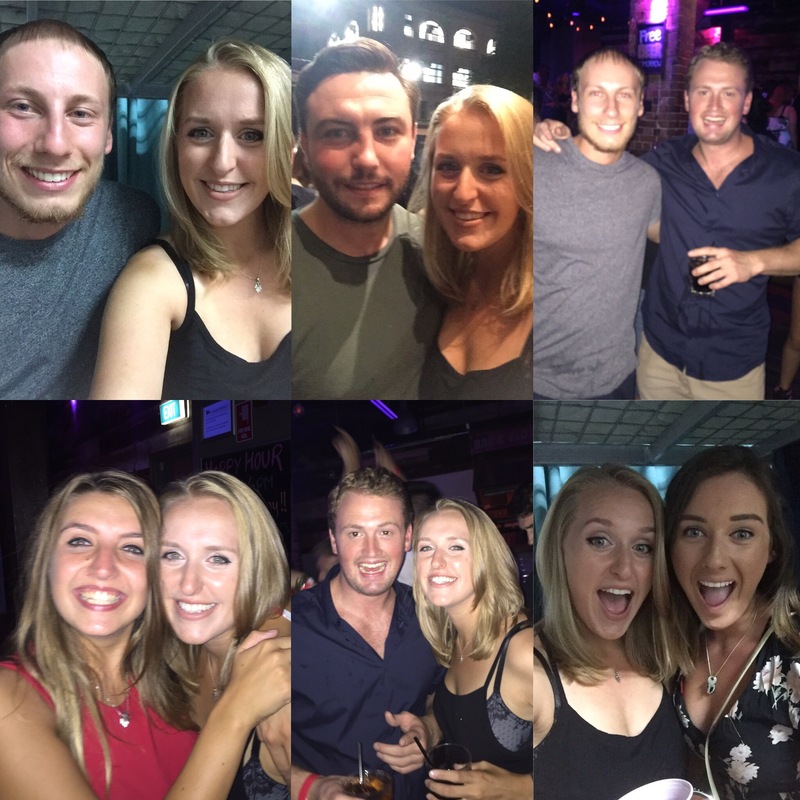 Sydney has been a blast. Side Note: this was the week that Donald Trump was inaugurated and became the 45th President of the United States as well as when hundreds and thousands of women (and men) went on protest marches across the world because of Trump.